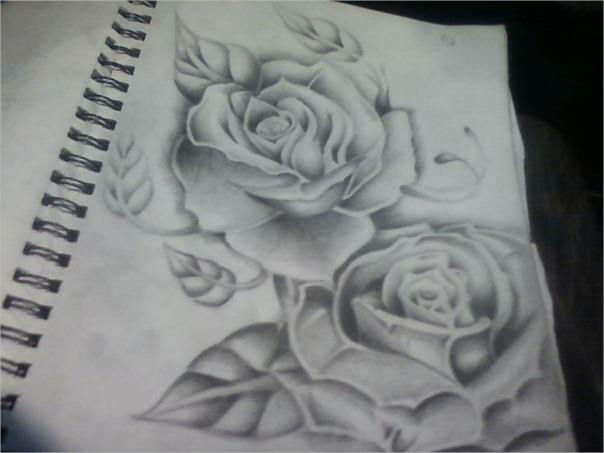 One of the first things we try to draw with a pencil is a flower. By default, we always think and perceive the flower we are drawing is a rose. That’s how strongly recognizable the rose flower is. 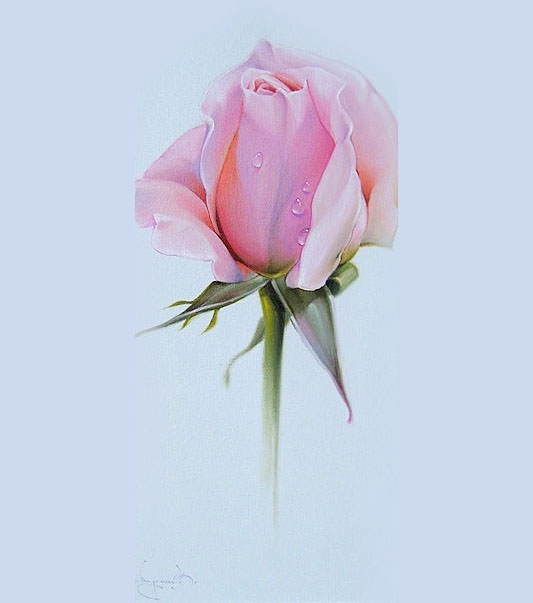 Synonymous with feelings of love, the rose is undoubtedly the world’s most favorite Flower Drawings. 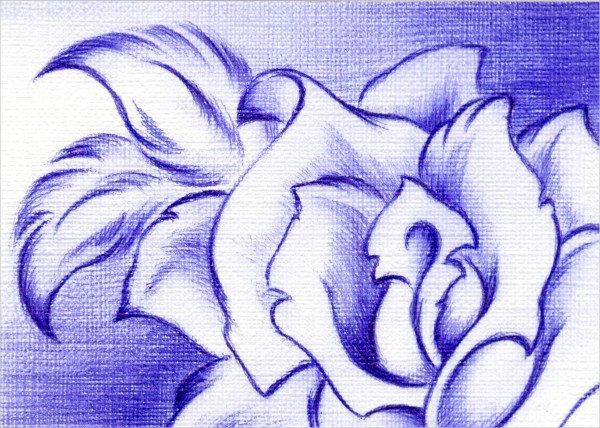 So strong is its recall, ask anyone to draw a flower, and they will pencil draw a rose – or their interpretation of it. This lovely set of two full bloomed pink roses are all that you will need to create an amazing greetings card for your best friend’s birthday or invitation for a party or making Valentine’s day greetings card and such other uses. 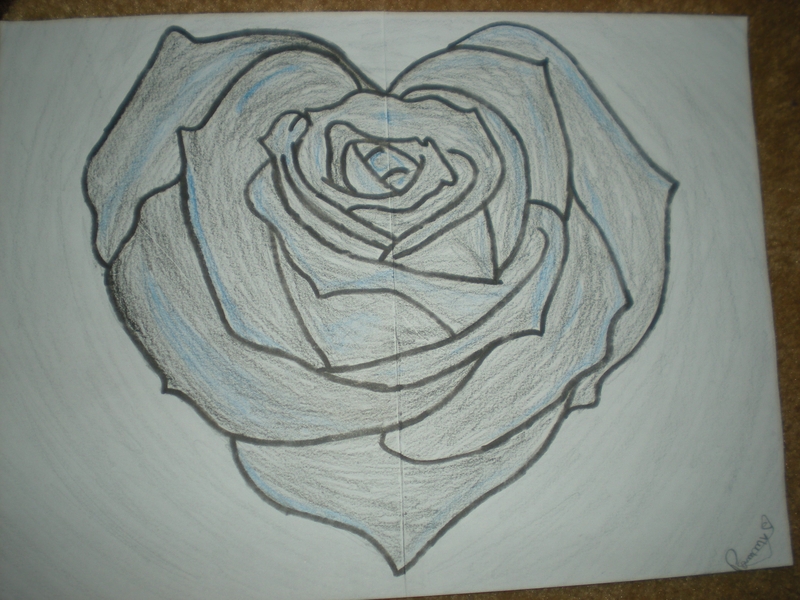 This is a plain sketch of beautiful rose that is hand drawn and coloured with tinges of blue and red wood pencil shades. You can use it in your child’s scrapbook or similar uses. The best thing is that it is free for download and use. 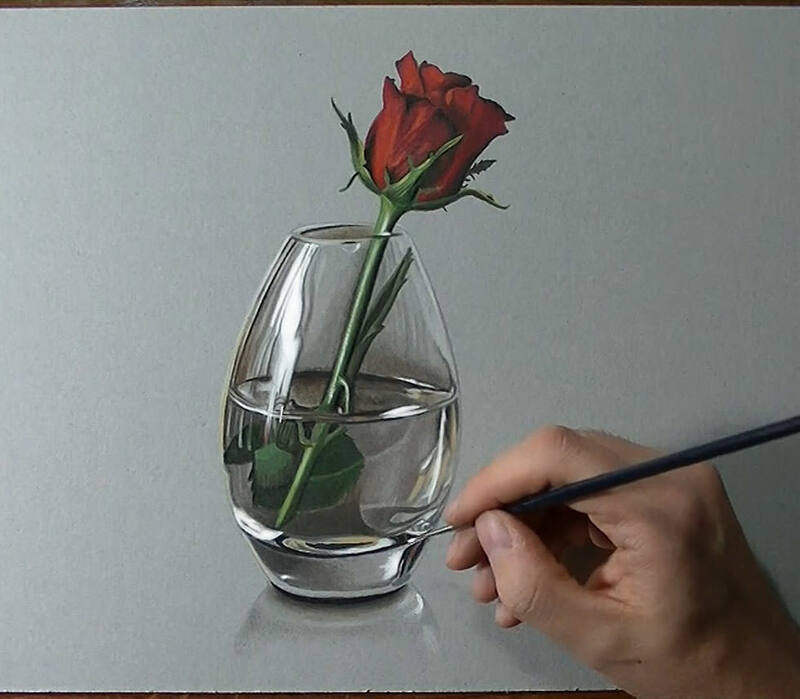 This is yet another awesome painting of a red rose which has been placed on a complementing glass vase. You can use it as a wallpaper, theme page, lock screen of your smart device. Alternately, it can be used for offline uses. 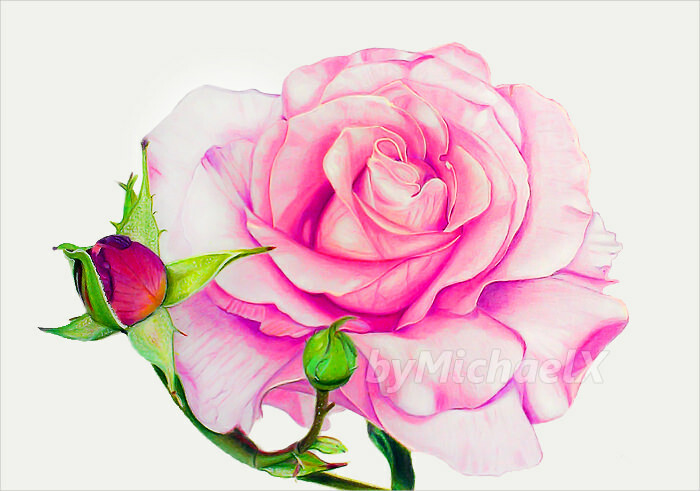 This is one of the best drawing of full bloomed rose that has a lovely baby pink colour. You can use it for both offline and online purposes and create cards and invitations by scaling and cutting the image before placing it. 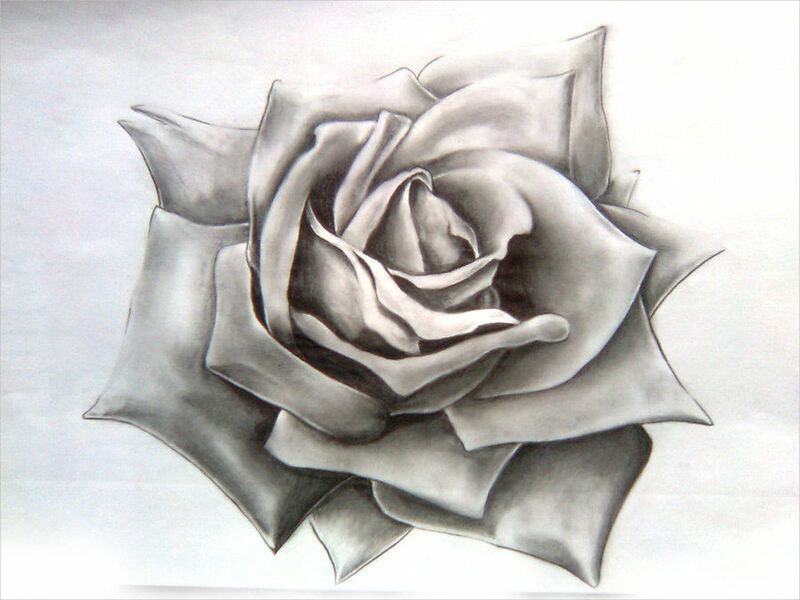 This is yet another rose drawing designed with leaves and petals and it can be said that you are free to use without any sort of edits. This may be coloured as well if you want and you can use it for both personal and professional uses. This is a unique rose image in bright yellow colour that can be used for creating greetings card for friendship day. The image has all the physical details of the full blooming rose and the colour makes it all the more beautiful. 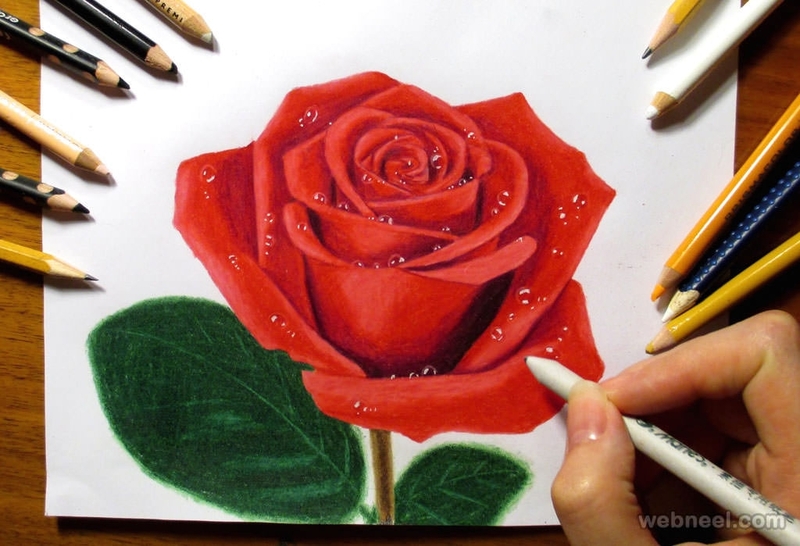 This rose painting has been achieved with the help of a ball point pen. Immense amount of detailing and precision has been invested on the image and it can be nothing but a work of an artist who is passionate about his work. 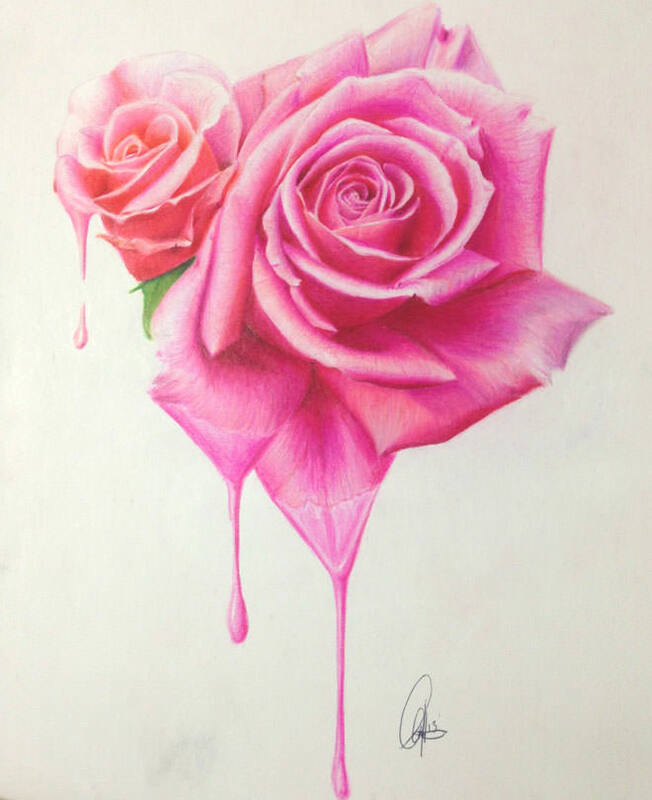 This rose drawing has been etched in pencil first and then colours with oil colours to give a realistic appeal. The best thing about the image is its lovely colour and the blooming rose is amazingly depicted here. 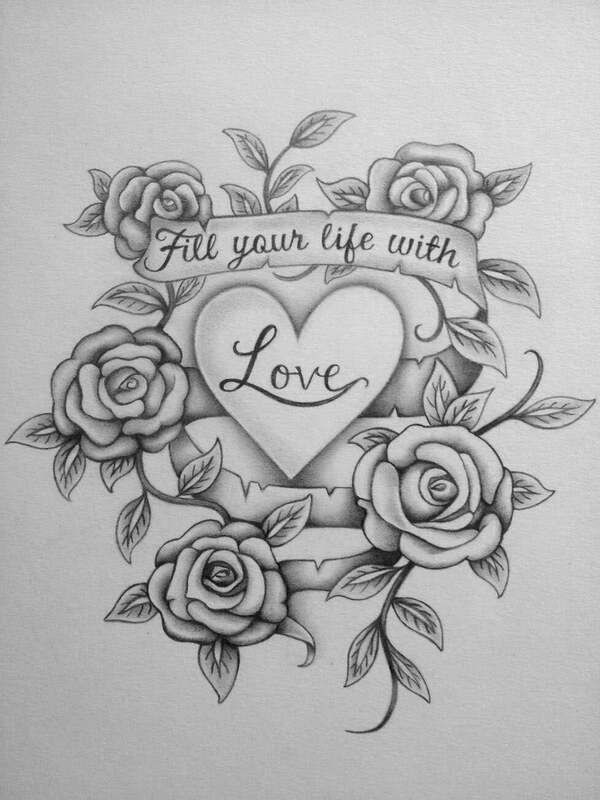 This is a full fledged rose design that has numerous roses in a heart shaped pattern. The best thing is the black and white colour combination which has been achieved through simple yet masterful pencil strokes. 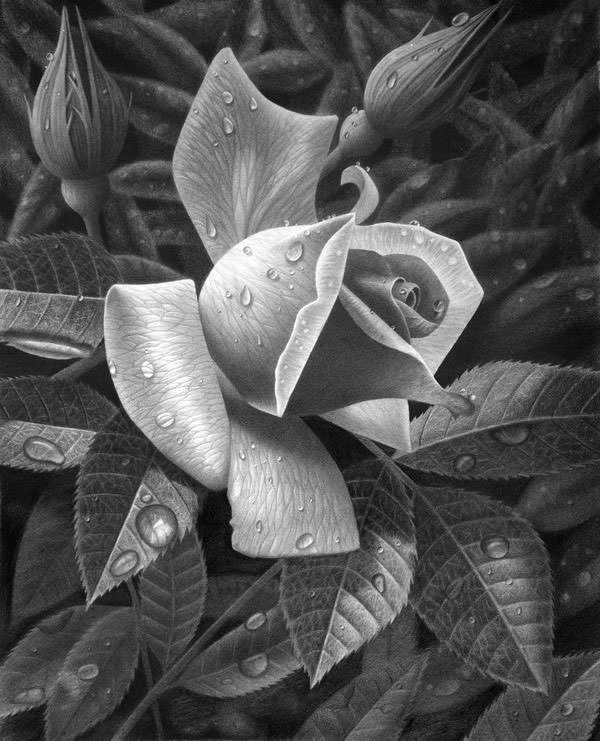 This is yet another beautiful rose flower painting done through pencil sketch. The painting features two bloomed roses placed on the spiral binding notebook and you can use it for different purposes. This rise drawing is first done through pencil and then it is coloured in light pink shade. You can use it in a wide array of items starting from the invitation cards to greetings card and brochures and web flyers. Regardless of how big your collection of rose flowers, you must add this magnificent rose flower to that set. Keep it intact with you and use it wherever feasible and earn appreciation from all your near and dear ones. This is yet another classic image of red rose that has been hand drawn with minute precision. The image is so life like that the water drops are closely depicted on the image of the rose and you can use it at all places. Have you been looking for a black and white rose image that can be used for all kinds of designing pattern? Use this rose design with utmost precision in all the offline and online works and make the entire thing stand out. 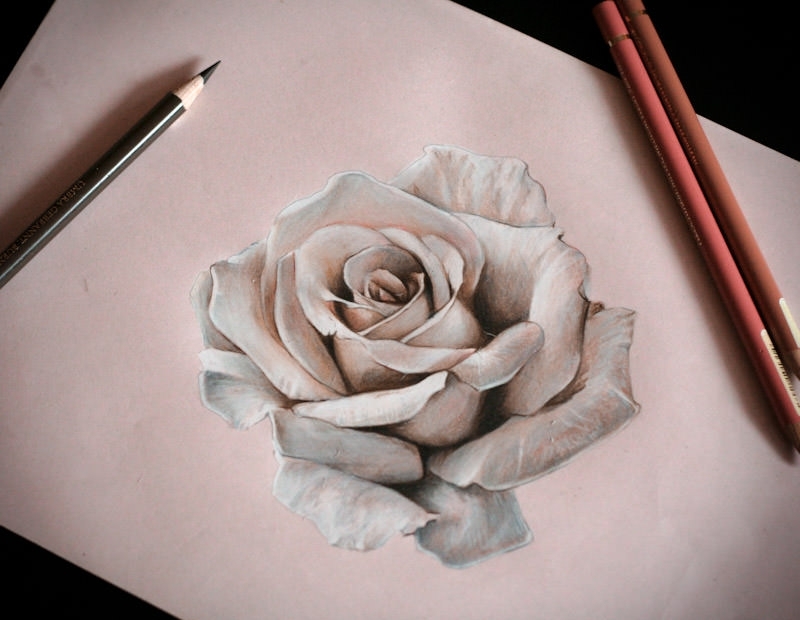 The pencil artwork of rose flowers is very simple and pleasing to the eye. Any kind of artwork in pencil is worthy of appreciation, simply because you can actually see and observe the hard work and precision that has gone into actually drawing in on paper/canvas. Besides word on the street is that if you’ve mastered skill of sketching flowers, roses are not that difficult in particular. Good news, that! 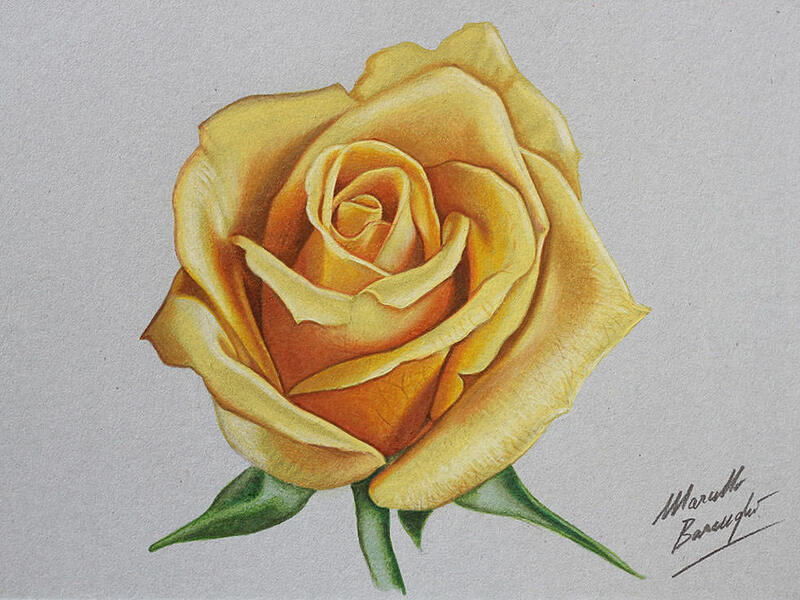 As a gift idea, drawing of a rose or roses is always very special. 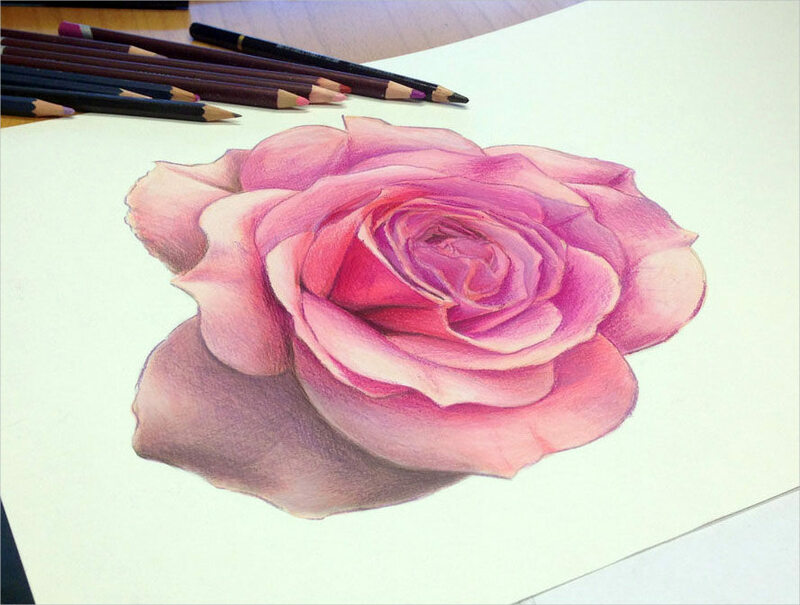 Browse through the collection of creative rose drawings we have compiled for you. They are all delicate and no less stunning. The pencil artwork is surely going to impress the viewer and artist inside you. Download these now!